I love it when a client has grit, isn't afraid to hear the same criticism more than once, and challenges herself to continue to master various elements of her craft. My favorite part of the coaching process is absolutely helping the writer through challenges and seeing a writing push past her her fears and roadblocks. It's beyond inspiring. It's inevitable that I become extremely invested in both the writer and her story, so enthusiasm influences my approach. I find with coaching that making my passion and excitement about a writer's improvement is critical (this is really the case with all feedback styles). On a critical level, I like to focus on elements of craft that will make the most impact in the long-term—whether that's interiority, dialogue, world-building, etc. I aim for my weekly feedback to offer an encompassing impression of the submission, while also pin-pointing those specific trouble spots. And, of course, sharing how honestly thrilled I am by the submission! I love the exchange of passion, helping writers find their grit and an even deeper understanding of their story; the development and the growth in their writing and confidence; and watching the melding of fantastic ideas, determination, and passion. I love it when a client has grit, isn't afraid to hear the same criticism more than once, and challenges herself to continue to master various elements of her craft. And a client who is honest with herself, who knows what she wants out of the coaching experience and whether she's ready for weekly feedback and deadlines, is critical. But most importantly: A writer who is ready to draft her book and push herself is the ideal writer match. This is hard! I think it was, perhaps, when a writer I'd been working with long-term had hit a roadblock and was really struggling over the decision of whether she should continue forward. In some ways, I like to think that my support in her ultimate decision, as well as my ensuring that she understood that such blocks are part of the process, is one of the key components of being a coach. And I was so, so thrilled when this writer had a breakthrough and remembered why she started writing and why it was important to her, and chose to continue forward. This experience is a testament to the fact that book coaching is far more than editing; it's something more intimate and collaborative that includes not only working with a writer on her writing but on her being a writer, her approach to her craft and drafting, and accepting her own process. It's why I love book coaching so much! 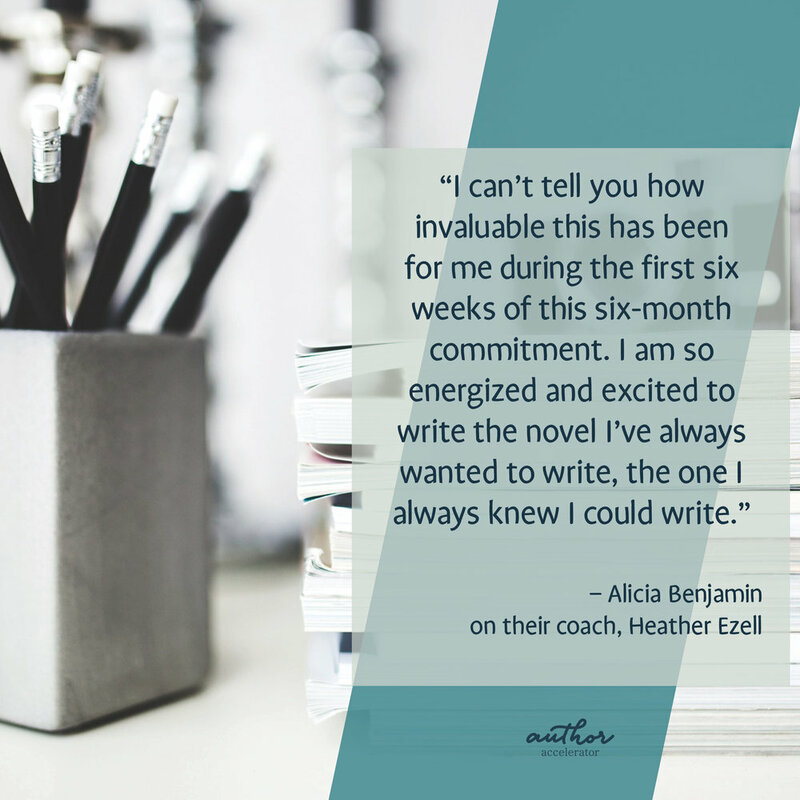 Coaching is such a wonderful experience as you get to work with a writer as they apply feedback and personal growth. As a coach, I have the honor of celebrating milestones with writers, to see their novel and craft develop, to be there for them when the writing life gets rough. When simply editing, it's most frequently a one-time deal: I write a long editorial letter and they go off to utilize the feedback for their revision. And while that's also great and I often hear about successes later on, the long-term mentorship that comes with book coaching is far more rewarding, inspiring, and—I suspect—effective. Oh, this is hard, as well! I think I have to go with helping a writer get through a two-months-long block due to self-doubt and bringing her back to why she started writing the story in the first place and witnessing her infatuation for her protagonist return. Additionally, it's been a joy to see one of my writers' craft truly improve, particularly in infusing internalization into his scenes. Through another book coach! Rachel Lynn Solomon. And, goodness, I'm grateful she did—I love being a book coach. This changes, but currently "scintillating." Is it cheating to say all genres? I especially love all things contemporary, fantasy, thriller, and switch between YA and adult. I also adore memoir! Janet Fitch. She has been my No. 1 inspiration since I read White Oleander at 14, the way in which she captures place and its intricacy, her mastery of prose. She also is said to be a delight of an instructor and I respect that she doesn't rush her books. The release of my debut novel! Finally sharing it with the world is terrifying but also so, so exciting. A writer. One of my earliest memories is being in my kindergarten principal's office and sharing my "book" with her—cardboard paper with frayed edges, stick-figure drawings, and a few words per the page. I also have a vivid memory on the tetherball court: punching the ball as it swung around and visualizing all of my future book covers. So, yes, I don't remember ever not wanting to be a writer! I currently live on a graveyard sleep schedule. I wake around 2 PM and, if it's a writing day, I get to it as soon as my coffee kicks in. I write/outline/edit for some hours, go on a hike with my dog in the evening, and either continue writing in the evening after a 10 PM dinner or deal with writing-related tasks (oh the emails!). On a work day (which there are more of! ), it's fairly similar, except that—instead of working on my projects—I'm focused on client manuscripts and submissions. I always try to slip in an hour or so of writing on freelance days but it's rare. Regardless, I'm beyond fortunate in that I'm able to work from home and do what I love! I hope to have a few proposals under my belt and, ideally, two books drafted and ready for revision. I'd mention something publishing related but I like to focus on what's in my control! ;) That said, a year from now my debut will have been in the world for some months! My writing life will incorporate more promotion (which is picking up now, actually!) and will require greater balance. In five years, the dream is that my journey as a writer has continued to prosper—both in terms of the development of my craft as well as my career. My novel, Nothing Left to Burn, released on March 13, 2018, with Razorbill/Penguin.